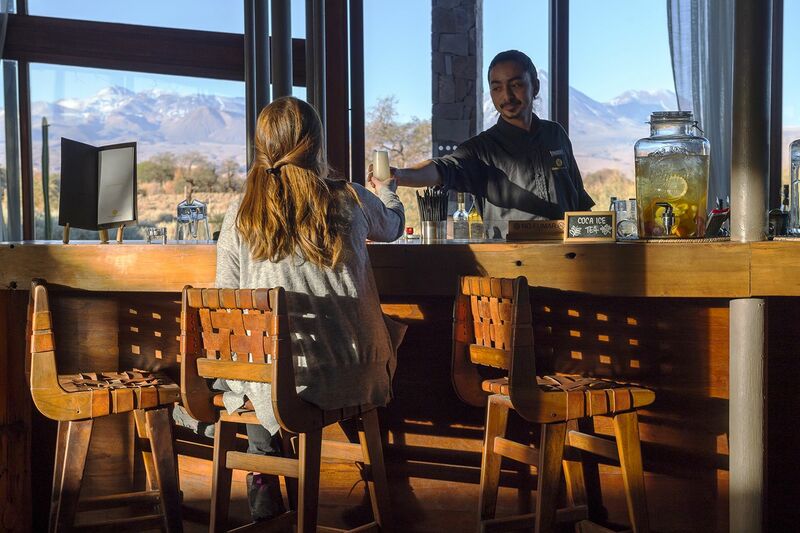 The dining experience at Tierra Atacama takes advantage of local produce, filling the menu with innovative twists on north Chilean cuisine. 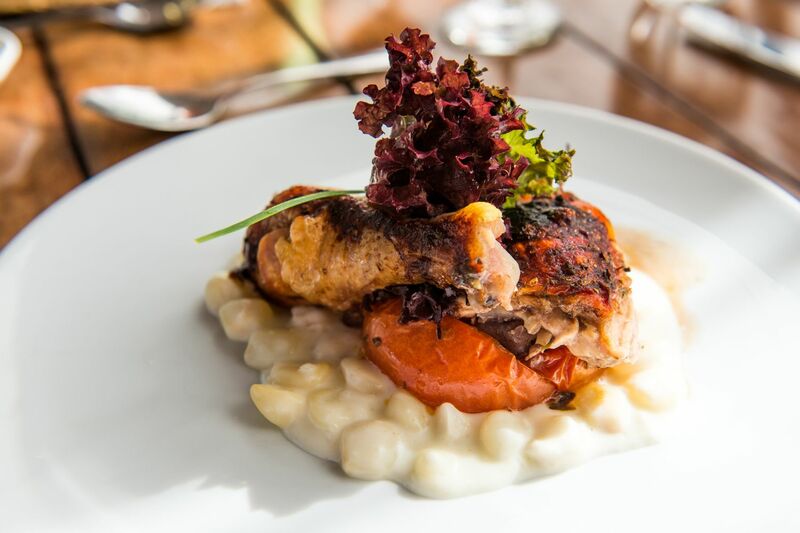 With the potential for warm days and the hotel’s high-altitude location, our expert chefs create dishes that are light and tasty, not heavy or overwhelming. This approach complements the local traditions with fresh, colorful salads, Peruvian corn, quinoa and a range of appetizing meat or vegetarian mains. Every day the focus is firmly fixed on using innovative techniques and a modern approach to both the flavor and presentation of the dishes, while also staying true to regional recipes and seasonal ingredients. The restaurant itself is also a reflection of the balanced approach taken to the food. 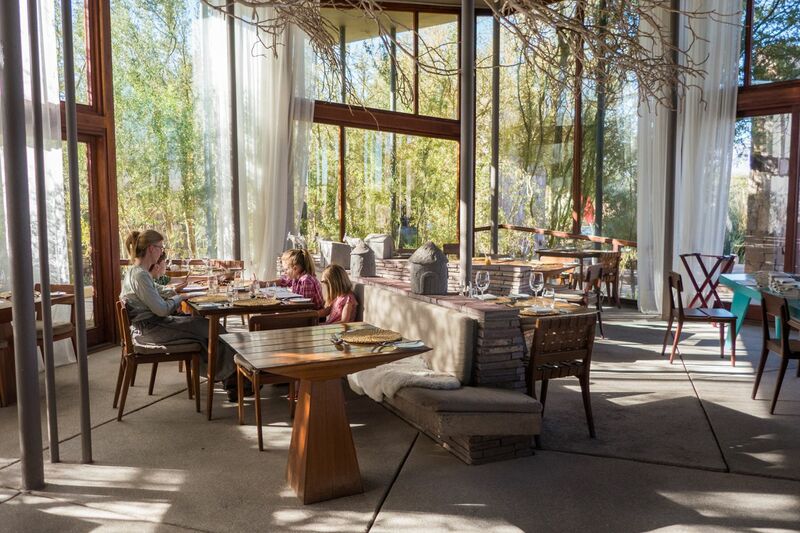 Here, floor-to-ceiling windows on all sides allow daylight to stream in and guests to gaze across the beauty of the desert, the perfect complement to any meal. With soft white drapes and raw stone walls separating the space, our restaurant feels like a continual extension of the surrounding landscape. When it’s time for a drink, whether it’s one of our many delectable teas, craft beer or our signature Rica Rica Sour cocktail, we have it covered. Ask one of our restaurant staff for a taster board of select cheeses and handmade empanadas, or maybe a slice of sweet kuchen cake – a Chilean favorite – to accompany your freshly brewed coffee or perfectly chilled glass of Chilean wine.